Click the Edit button and add credits to highlight who was involved, what products are in the shot, location or whatever else you think would be valuable to know. These image will stay attached to your image on any website or blog that uses your EXIF image embed. 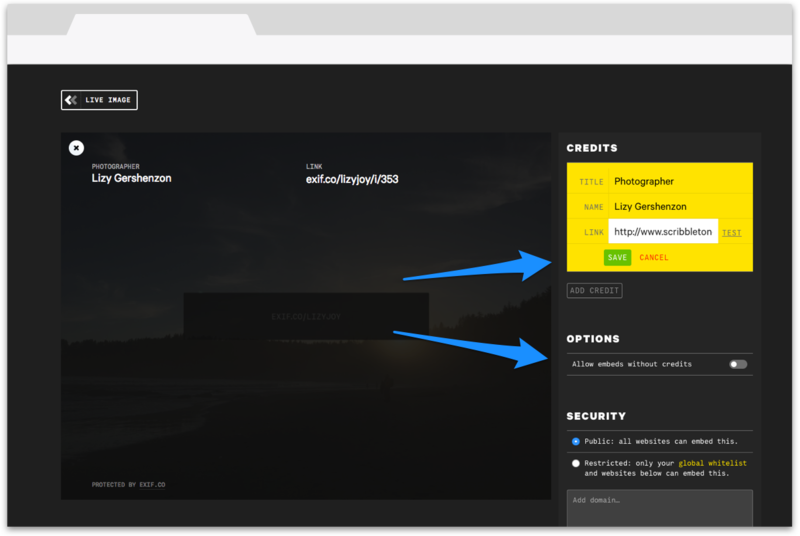 If you want to allow images without credits, while you are editing choose the option to allow embeds without credits. 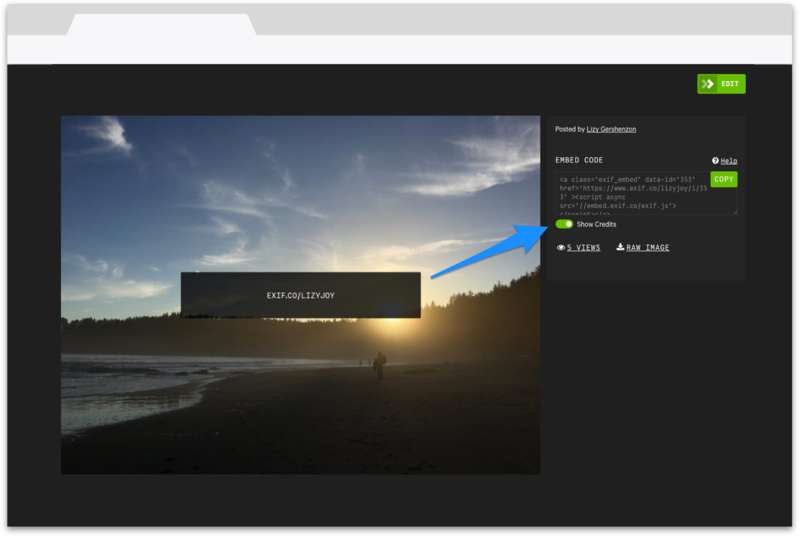 Then when you go to embed the image toggle if you want to show credits.